While we humans may not be too keen on the heat streak of late, it seems the 100-degree temps are OK with some of the vegetation in my backyard. 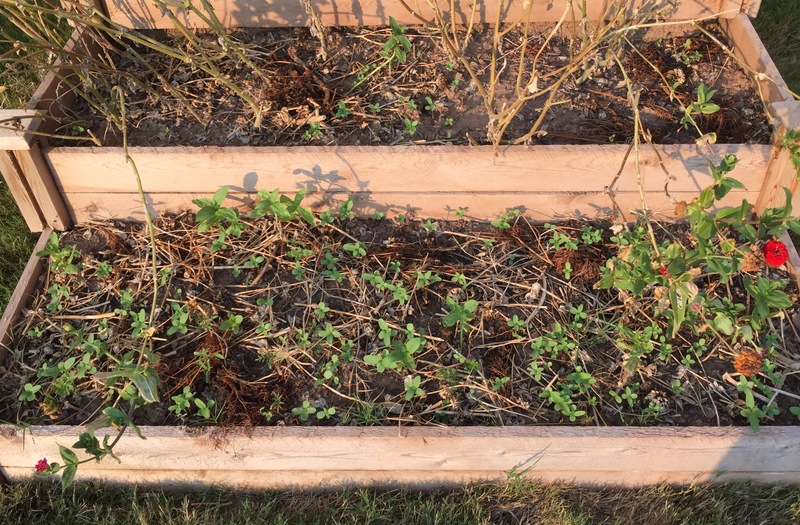 The young zinnias in my raised flower bed (above photo) are doing great. I liberally spread seed I collected from the zinnias I had planted in the spring because I wasn’t sure how many would come up. I’m happy to see that a lot did. Pretty soon, I’ll pull the rest of the old zinnias and let the young ones take over. 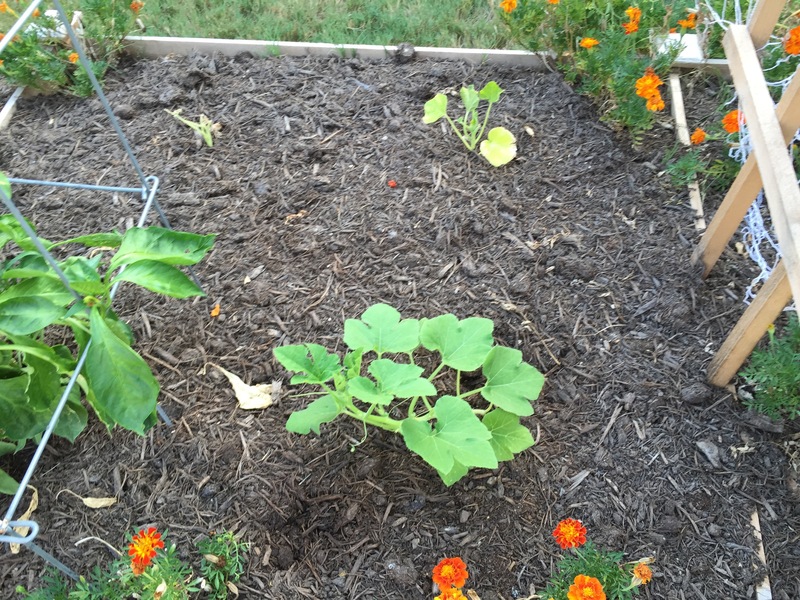 I’m also happy to see that at least one of the three pumpkins I transplanted after starting in peat pellets is doing well. A second one might survive, but it doesn’t appear the third one will (upper left in photo above). As long as one survives, I’m good with that. And, finally, my crape myrtle tree is flowering more. It’s the perfect way to start the weekend. So I think I will! 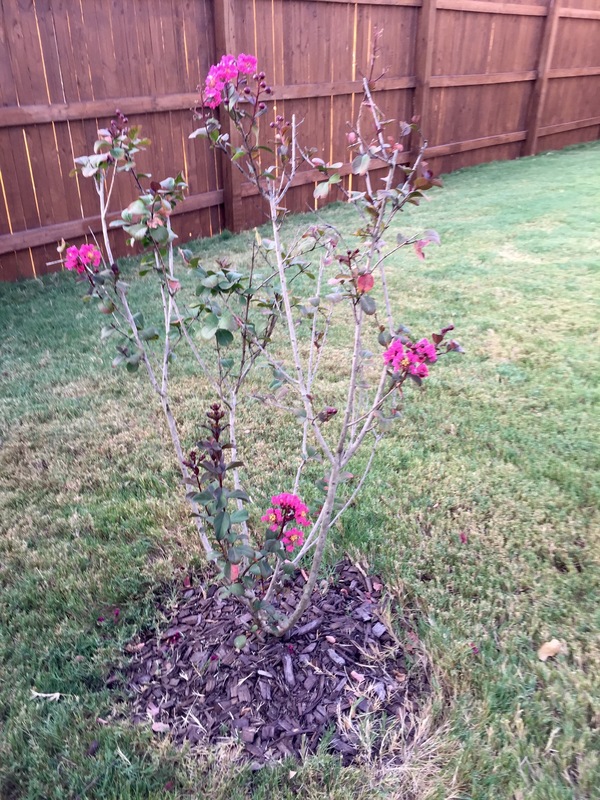 This entry was posted in Gardening and tagged crape myrtle, heat, pumpkins, zinnias on August 14, 2015 by Julie Riebe.